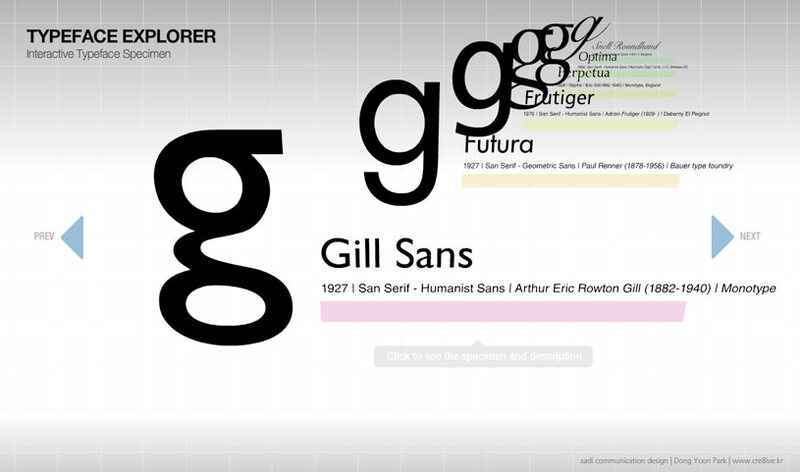 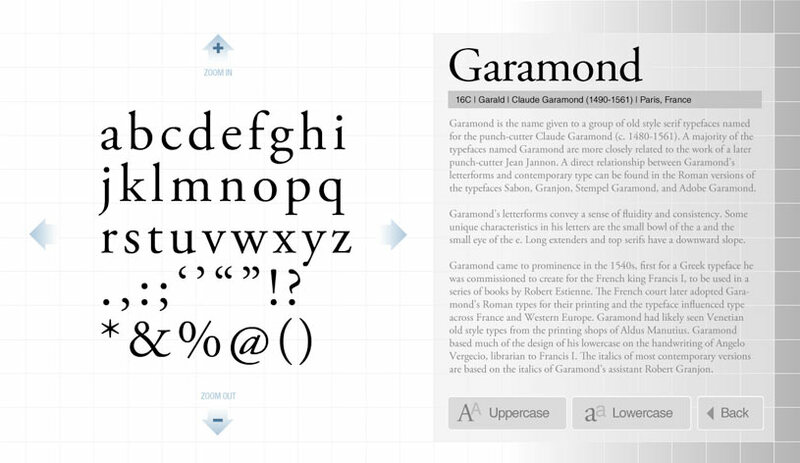 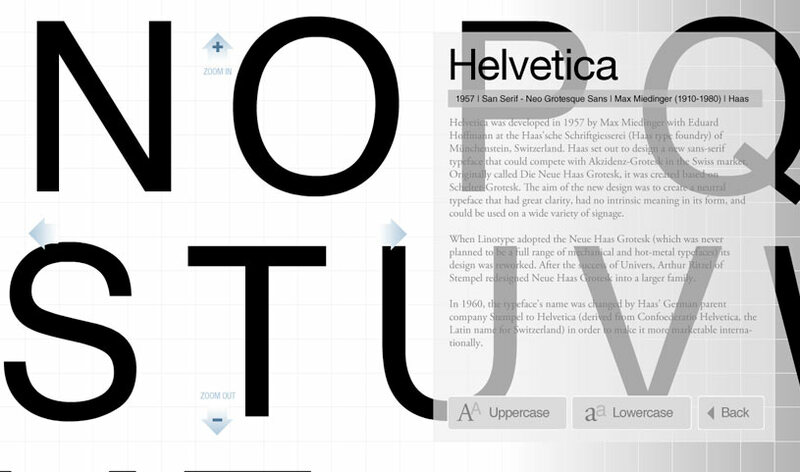 Typeface Explorer is designed for students who are studying typography. 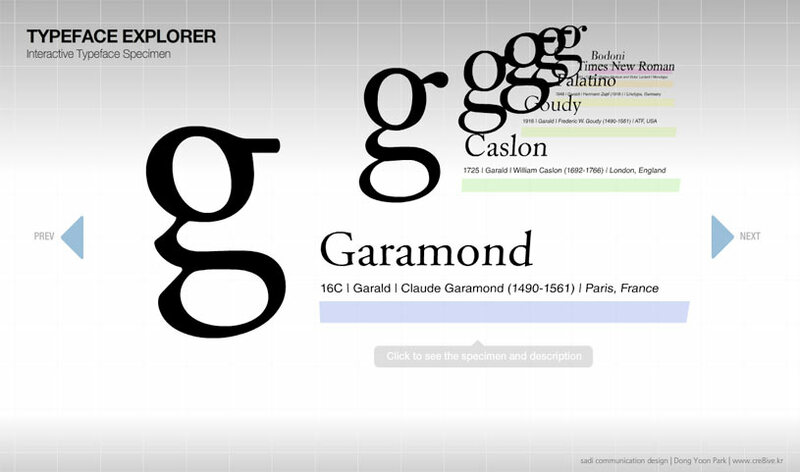 It is an interactive installation in the school’s east campus building. 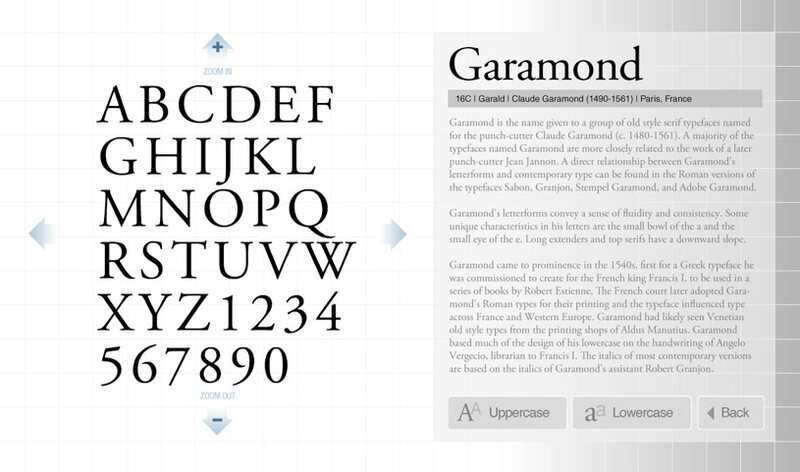 With simple touch button interfaces for navigation, a student can browse historical typefaces and can observe the specimen. 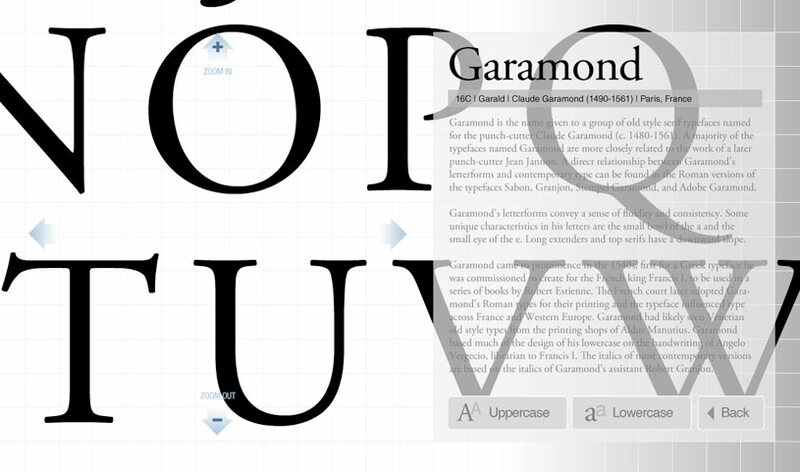 Used Flash and Papervision 3D to display typefaces in 3D space and to visualize their form clearly in vector graphics.